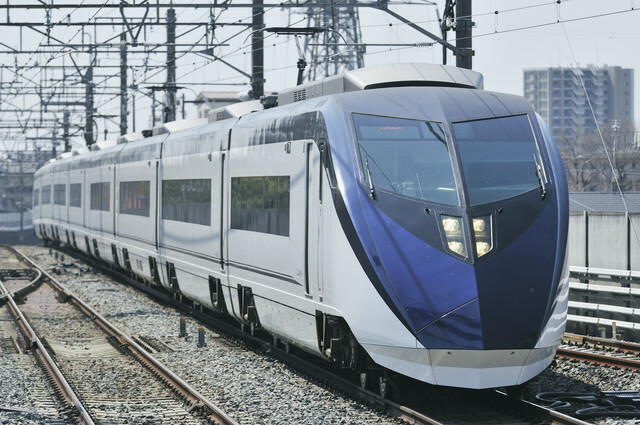 Make use of this great Keisei Skyliner & Tokyo Subway Ticket Set to get from Narita Airport to Tokyo in 41 minutes* and explore Tokyo as much as you want! ■ What is Keisei Skyliner & Tokyo Subway Ticket? 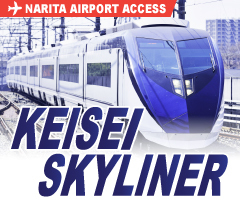 ★ The Keisei Skyliner & Tokyo Subway Ticket is an economical ticket combo set that allows you to hop on the speedy and comfortable Skyliner limited express from and to the Narita Airport in about 40 minutes, as well as riding as many times as you would like on the Tokyo Subway. ★ This ticket set includes one-way or round-trip fares between Narita International Airport and Keisei Ueno Station, in addition to the Tokyo Subway (Toei Subway - Tokyo Metro Subway) Ticket*. *The Tokyo Subway Ticket comes in 24, 48, and 72 hours. ★ The Toei-Subway - Tokyo Metro Subway is a large railway network that contains 13 different lines that will take to most places in Tokyo. Click here to see the route map. ■ Where can I buy Keisei Skyliner & Tokyo Subway Ticket? 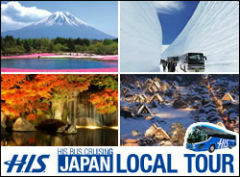 - You may purchase a Keisei Skyliner & Tokyo Subway Ticket Voucher from H.I.S. Vancouver or H.I.S. Toronto by either visiting us in store, ordering it over the phone or send us an inquiry here. ★Please note that we will not be able to provide a refund/replacement in the case of loss or theft of the coupon. → The Skyliner Ticket Voucher is valid for exchange within six months since the date of purchase. → The Tokyo Subway Ticket Voucher is valid for exchange for six months since the date of purchase. → The Tokyo Subway Ticket is valid for 24, 48 or 72 consecutive hours since the time of exchange. ■ How do I use the Keisei Skyliner & Tokyo Subway Ticket? ① Purchase a (one-way/round-trip) Keisei Skyliner & Tokyo Subway Ticket Voucher from H.I.S. Vancouver or H.I.S. Toronto before you travel to Japan. - Please head straight to the Skyliner Ticket Counter. Please head to an Easygo Counter first to exchange your voucher for a Keisei Skyliner Voucher, and exchange it at the Skyliner Ticket Counter. NOTE: If you have purchased a set of a round-trip ticket, please do NOT exchange the return portion of the Skyliner exchange ticket for a Skyliner seat-reserved ticket at the same time. You may do so at Ueno or Nippori Station when you head back to Narita Airport for your return flight. ③ After you have obtained a valid Skyliner ticket with a reserved seat, head to the automated ticket gate and get ready to board the Skyliner. ④ Hop on the Keisei Skyliner and get off at Ueno or Nippori Station. From here, you may begin to use the Tokyo Subway Ticket to make connections to your final destination. Please refer to the map here. NOTE: Once you start using the Tokyo Subway Ticket, the ticket will expire 24, 48 or 72 hours after you first used it. ⑥ Enjoy sightseeing around Tokyo! ■ Where do I exchange the voucher in Narita Airport? The Easygo Counter located on 1F of Terminal 1 and Terminal 2·3. The Skyliner Ticket Counter is located on B1F of of Terminal 1 and Terminal 2·3. *The coupons are NON-REFUNDABLE after purchase. *The Skyliner Ticket Voucher is valid for 6 months since the date of purchase. *Departure time and seats must be reserved for the Keisei Skyliner prior boarding. *The Tokyo Subway Ticket Voucher is valid for 6 months since the date of purchase and it is valid for 24, 48 or 72 consecutive hours since the time of exchange. *There is no limit to the number of coupons you can purchase. *Skyliner one-way tickets may be used to ride either from Narita Airport towards the Ueno area or from the Ueno area to Narita Airport. However, you have to exchange the voucher at Narita Airport after you arrive. *For customers who have purchased vouchers from our Toronto Branch (regardless of which type of Skyliner +Tokyo Subway you have purchased), you MUST first exchange the voucher for a Skyliner exchange ticket at an EasyGo Counter first, and then exchange the Skyliner exchange ticket for a Skyliner seat-reserved ticket at the Keisei Electric Railway Counter. *There is no EasyGo counter at Ueno or Nippori Station when you go to Narita Airport for your return flight. Therefore, you must get a Skyliner exchange ticket for both ways of your round-trip Skyliner ticket at the same time when you exchange the voucher at the Narita Airport.